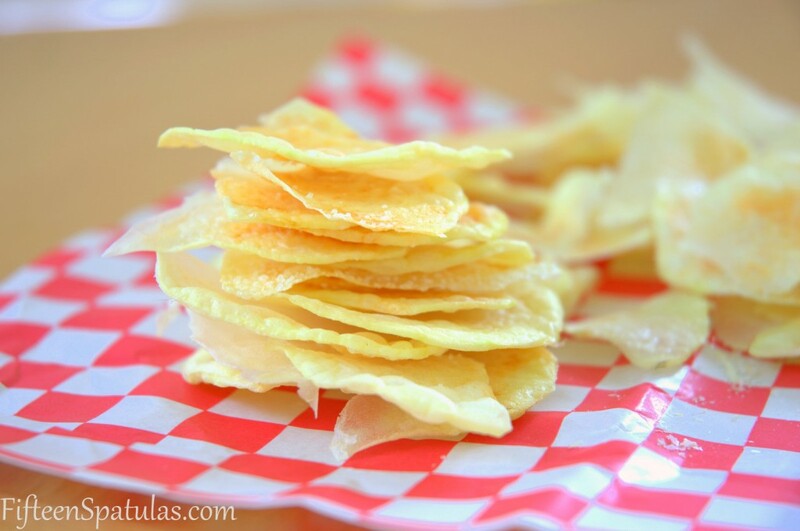 There’s no added oil for these one-ingredient crispy potato chips! Thin slices of potato are microwaved until crunchy, and you can add any seasonings you’d like. Crispy potato chips…with no oil???!? These potato chips have got that robust crunch. You know, the kind of crunch where everyone in the room stares at you with the “Do you HAVE to chew THAT LOUD? !” look on their face. Hm…crispy potato chips without oil…how on earth does that happen? The magical microwave. College students rejoice, because this is the one thing you can make in your dorm room aside from popcorn. There are a few tools that you need to have to make this a success. 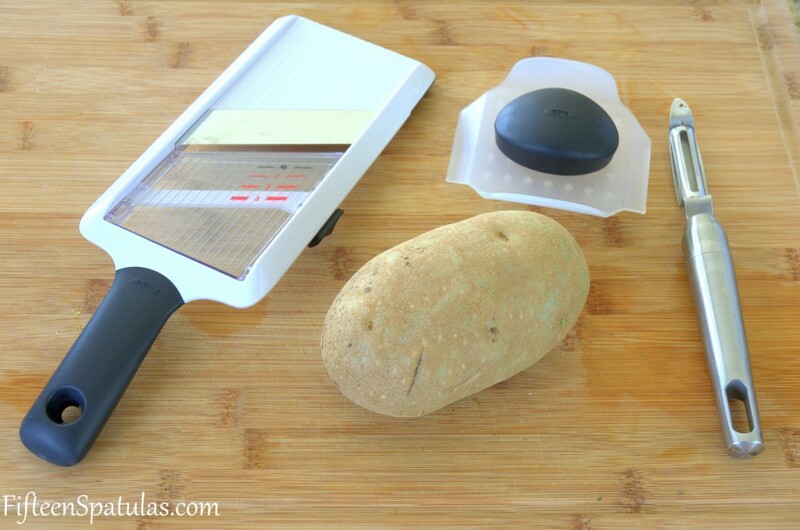 The first is a mandolin that can slice the potatoes super thin. 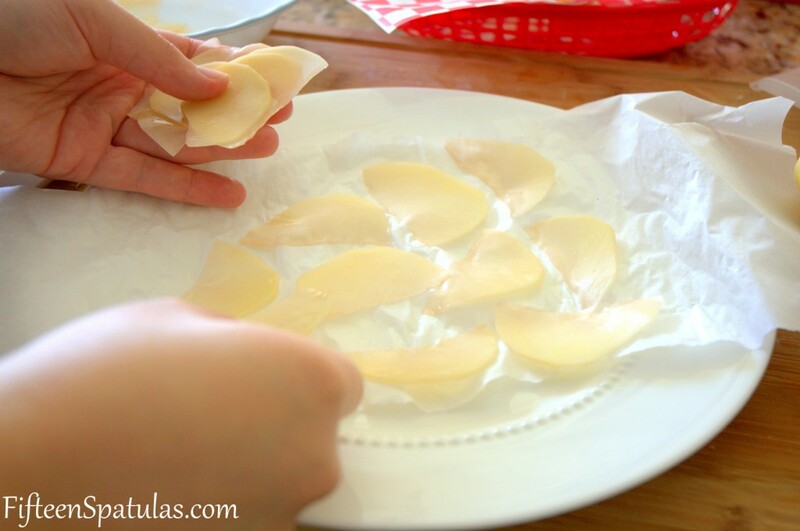 Take your mandolin-cut potato slices and lay them in an individual layer on a parchment paper covered plate. Season with salt if desired. I hope you enjoy these! They are a little time consuming, but worth making every once in a while. 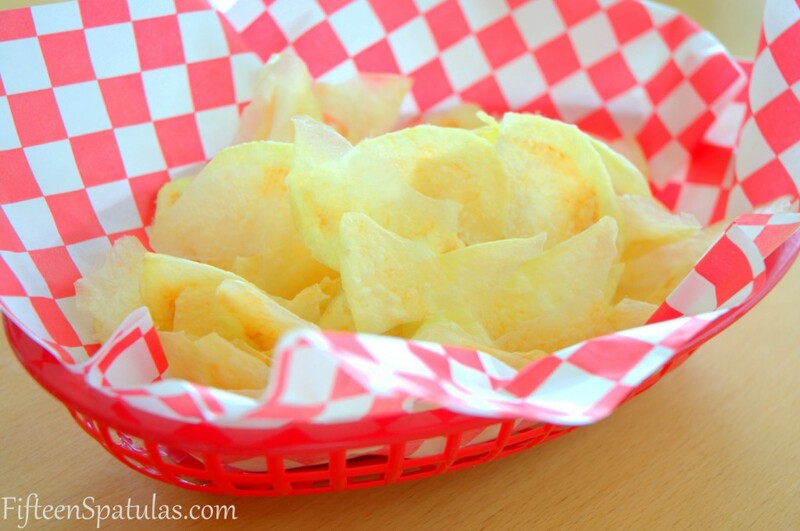 There's no added oil for these one-ingredient crispy potato chips! Thin slices of potato are microwaved until crunchy, and you can add any seasonings you'd like. Peel the potato and keep it in a bowl of water so it doesn’t brown. Set a piece of parchment paper on a large plate. 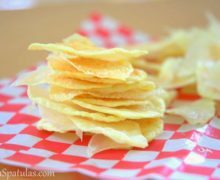 Use a mandolin to thinly slice just enough potato to cover the parchment-covered plate in a single layer of potato slices (the parchment is essential so the chips don’t stick). Season with salt if desired and microwave on high for about 3-5 minutes until the chips are golden brown. 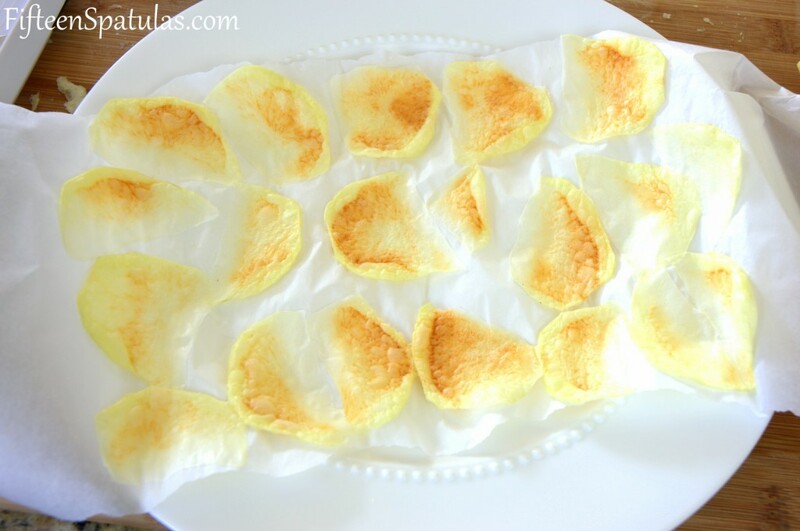 Remove chips from the parchment and repeat with the remaining potato slices. Enjoy! 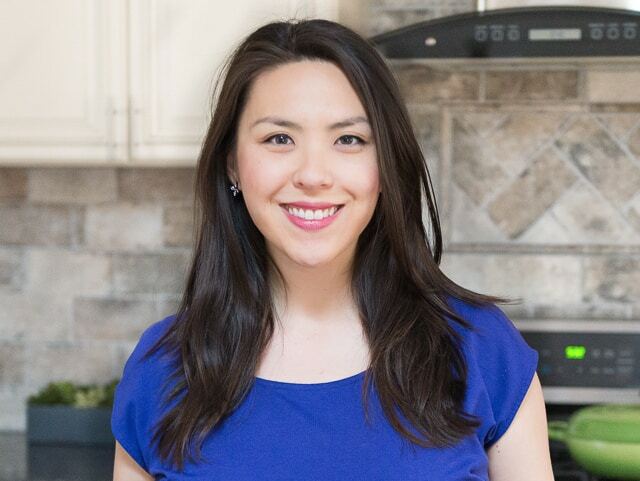 Since my recent discovery of being allergic to oils, I was thrilled, thrilled, thrilled to find your site and this recipe. Delicious! I set my microwave to 5 minutes, but could’ve probably stopped it at 4 1/2 minutes. I used a russet potato and pre-salted them. They tasted just like a plain Pringles. Thank you so very much! Haven’t had chips in a few month and I’ve been really craving them.